Every year for Christmas, my Mom and I make small gifts to hand out at our very large family Christmas party. We wanted to make soap for everyone but we didn’t have the time to wait for cold process, and honestly I was a little bit scared! I mean really, don’t you shudder a bit when you hear the word lye?? Cold process soap terrified me. So we went with Melt and Pour Goat Milk Soap. Which was so easy and got me super excited to make more. I knew I wanted to make cold process but it took me a really long time to get past my fears. That is until I stumbled across Jan Berry’s eBook on soap making with natural ingredients! Jan writes the blog The Nerdy Farm Wife, and her eBook can be purchased there. This book is so worth the read! She made it seem so easy that I was ordering ingredients and supplies before I even finished! Share the love!! Pin me for others! But, I had some cucumbers on hand and had recently planted mint so I thought I’d use what I have already! How do we make cucumber mint soap? Jan offers an awesome check list that takes you through the steps, but I’ll sum it up here. The day before soap making I prepared my liquids, so that they would be cold from the fridge when I was ready to use them. For the cucumber, peel a cucumber and place the peels in a food processor. Add 8 oz of water and puree. Strain this through cheese cloth or coffee filters and refrigerate. For the mint tea, chop up mint leaves and pour boiling water over it. I just used my Keurig! Allow it to steep and then strain and refrigerate. Now it’s soap making day! Start by lining your mold, if you’re using wooden, with parchment paper. Hubby made me an awesome one that I promise to get you a tutorial for! Or you can use a silicone mold like this one. When combining the liquids, start with the cucumber in your heatproof plastic container on a kitchen scale like this, and add mint tea until you reach 271.31 grams. Weigh your lye in a container that will only be used for lye. Stir the lye mixture with a silicone spoon. Set this aside in a safe place to cool. It should take 30-45 minutes to reach 90-115°F. Weigh your solid oils and butters and then heat until melted. Weigh the liquids and then add them to your melted solids. When your lye and oil mixtures reach the same temperature, or close to, it’s time to combine! Drizzle the lye solution into the oils. 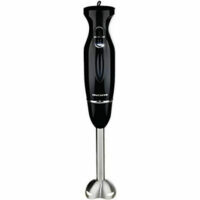 Use an immersion blender, like this, to blend the two mixtures. Make sure to tilt the blender to release any air trapped in it. Run the blender for 30 seconds and stir with the motor off for 30 seconds. Continue this process until you reach trace. If you’d like, add peppermint essential oil, once you’ve reached trace and then add it to your mold. Cover the soap with plastic wrap and cover the mold with a towel or old blanket. Check on your soap every hour for the next few hours to make sure it isn’t over heating and cracking. If it is remove the blanket and move to a cooler place. Leave it in the mold for 24-48 hours. Remove it from the mold and slice into bars. Place the soap on wax paper and allow to cure for 4-6 weeks before using. 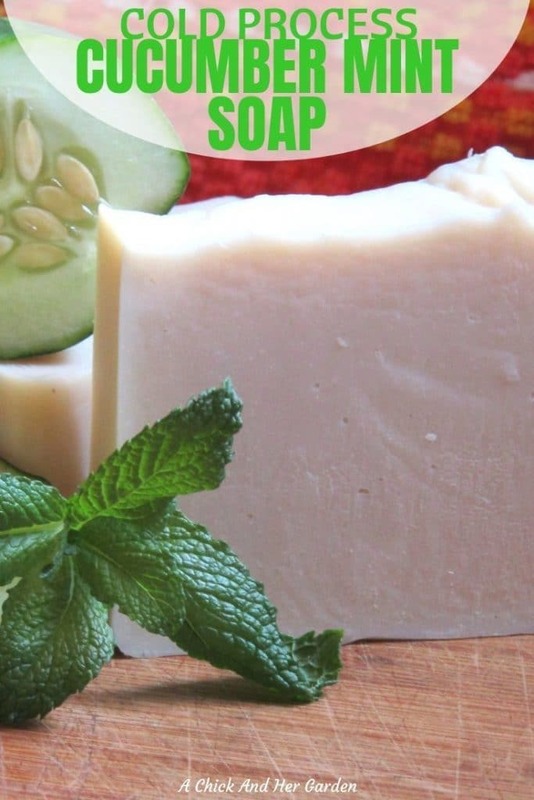 If you’re ready to start making your own soaps (or even your own recipes!) I highly recommend Jan’s Natural Soap Making eBook Collection! I use it on a regular basis for new ideas and to reference everything from the benefits of oils to herbs! Want this awesome soap but aren’t ready to make it??? Grab a bar here in my shop! 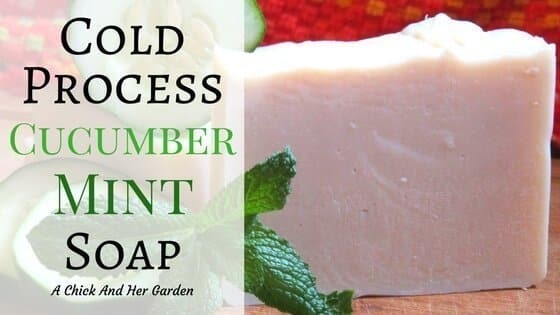 Have you made cold process soap? Tell me about your first try in the comments! Now it's soap making day! Start by lining your mold, if you're using wooden, with parchment paper. Hubby made me an awesome one that I promise to get you a tutorial for! Or you can use a silicone mold like this one. When your lye and oil mixtures reach the same temperature, or close to, it's time to combine! If you'd like, add peppermint essential oil, once you've reached trace and then add it to your mold. Check on your soap every hour for the next few hours to make sure it isn't over heating and cracking.